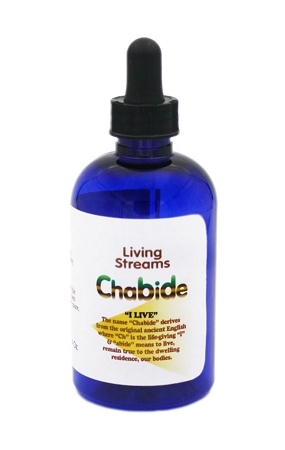 Chabide is made with Bifido-Bacterium, Longum & a proprietary blend of herbs. The name "Chabide" derives from the original ancient English where "Ch" is the life-giving "I" and "abide" means to live, remain true to the dwelling residence, our bodies. Bifidobacterium Bifidum is by far the most common probiotic bacteria in your body and supports digestion and absorption of nutrients. The probiotic is found in the colon, the lower small intestine and in breast milk. Bifidobacterium Bifidum is often found in healthy vaginas. Application: Start with 10 drops under the tongue twice a day for seven days. Increase to 20 drops twice a day or more. Use this along with granddaughters going through puberty. Love healthy probiotics!!! !